The jump to Android Wear version 1.3 brought along interactive complications, a small, but oft-requested feature to the latest batch of smartwatches. Now, version 1.4 of the wearable operating system is in the process of rolling out. What did it bring this time? Android Police reports that one of the bigger changes in the latest software is, actually, the removal of one of its most useful features: the in-depth breakdown of smartwatch battery usage. With it, wearers could check out which apps were sucking down the most battery juice. As far as new additions are concerned, there isn't much to see here. Version 1.4 adds the option to switch off the tutorial cards that pop up to help users get the most out of Android Wear. Nothing big, but still a welcome change. Perhaps the most interesting inclusion of Android Wear v1.4 is hidden in its changelog file that Android Police dug up during a dissection of the software. 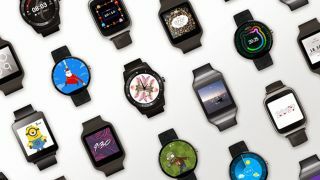 In it, Google more or less confirms that a future update is coming that will give smartwatch owners with compatible hardware some cool, new abilities. Looking at this list of features, Android Wear users have good reason to be excited. While improvements to the battery is likely to be at the top of the wish list for most smartwatch owners, it's also cool to see more languages supported, as well as the capabilities of the hardware being expanded. Maybe, just maybe, Android Wear smartwatches of the near future will be able to last as long as their Doze-enabled Android Marshmallow companions.